This past weekend we had renovations completed at Brent G Hair Studio. A new wall was installed to convert the hair salon & spa to a hair studio only. 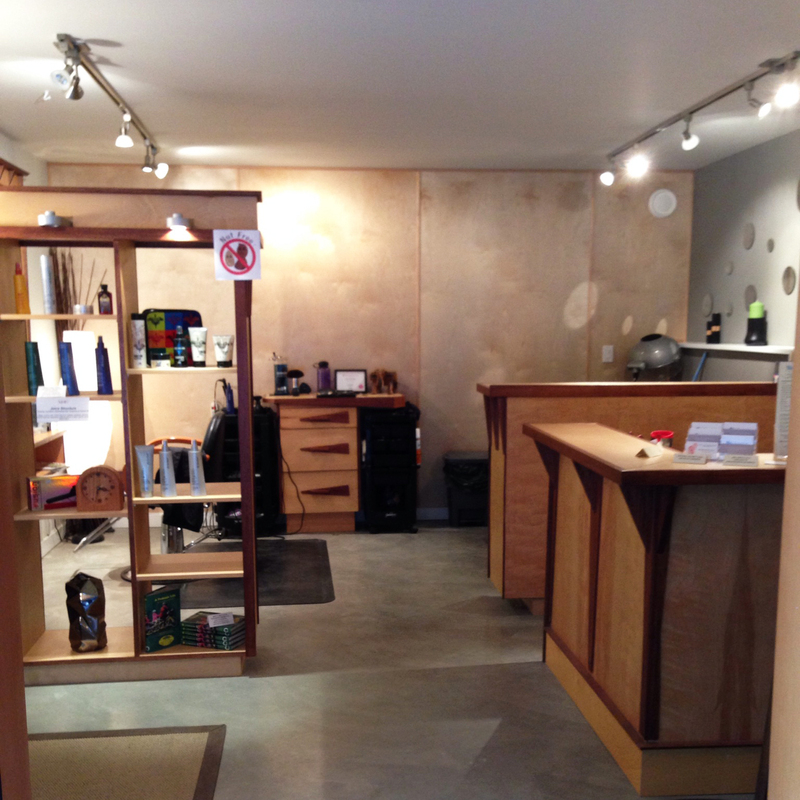 We will no longer be offering spa services, as that space is now attached to the store next door. We’re really happy with the warm welcoming finished look, and look forward to continuing to offer high quality professional hair services in the Village core for many years to come. You’re invited to drop in and check it out in person (I apologize for the low resolution phone pics – it’s much better in person!). 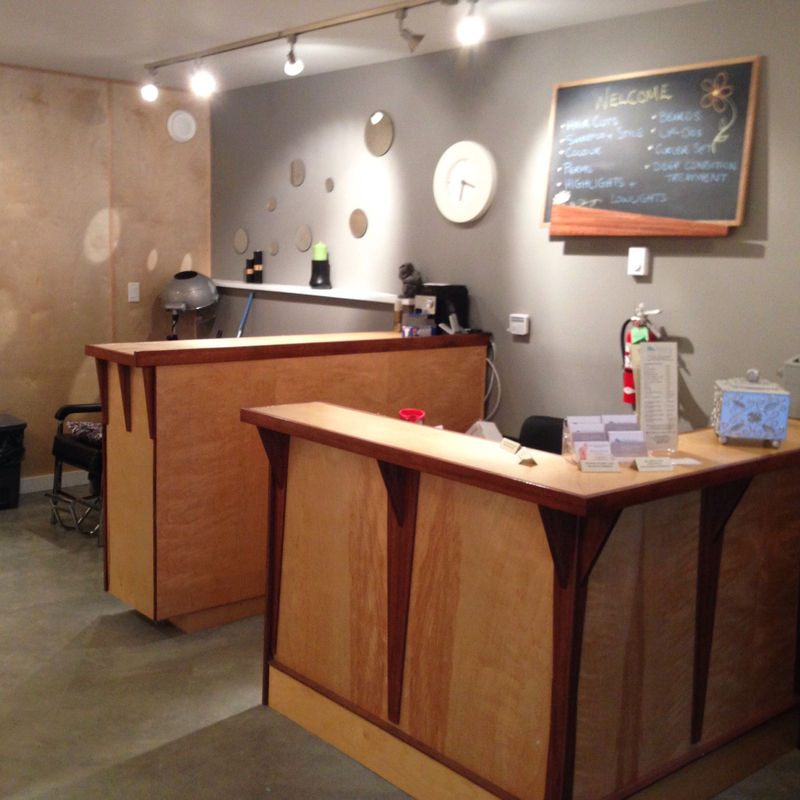 Fun Fact: Did you know Rilla’s dad built all the beautiful wood furniture in the salon?